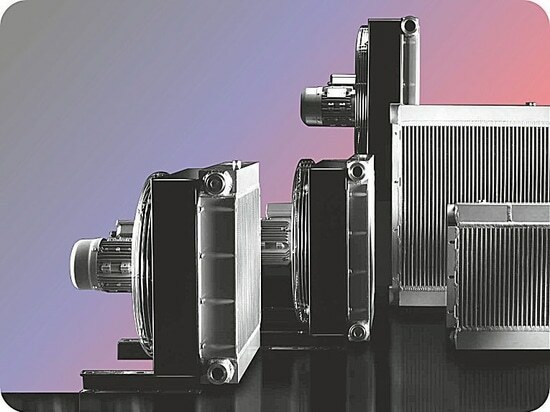 give reliable, smooth power transmission without torsional oscillation / vibration and so protects the connected machinery. Spidex power transmission couplings are torsional flexible shaft couplings, the operating characteristics of which are two hubs with concave claws, transmitting the torque by meshing with an elastic involute gear ring. 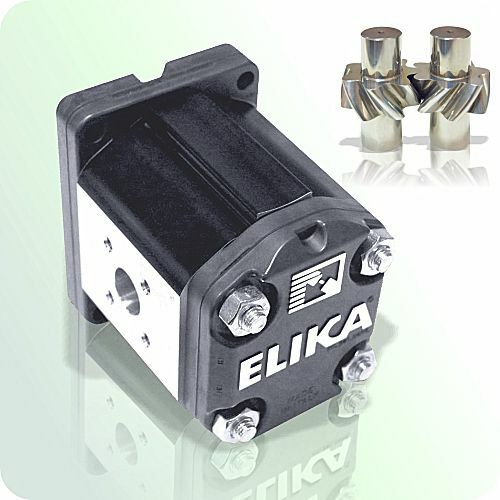 The spider coupling concept gives a reliable, smooth power transmission without torsional oscillation / vibration and so protects the connected machines. Due to the complete flexibility and ductility of the elastomer ring, it compensates for parallel and angular displacements as well as to absorb longitudinal movements of the shafts. The involute teeth of the elastomeric inserts are crowned in order to avoid edge pressure on the tooth flanks and so avoid undesirable axial thrust. 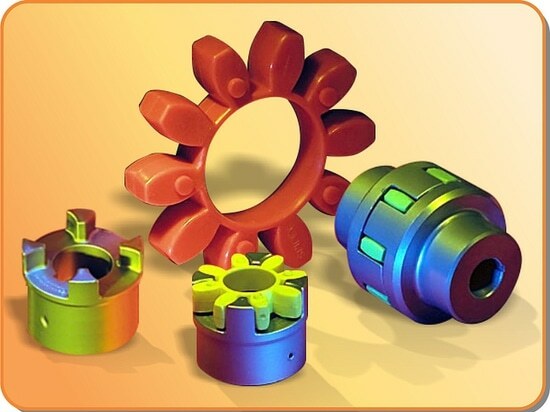 The puncture proof spider coupling can be loaded extremely high since the elastic elements are submitted to compression and not to bending moments of force. 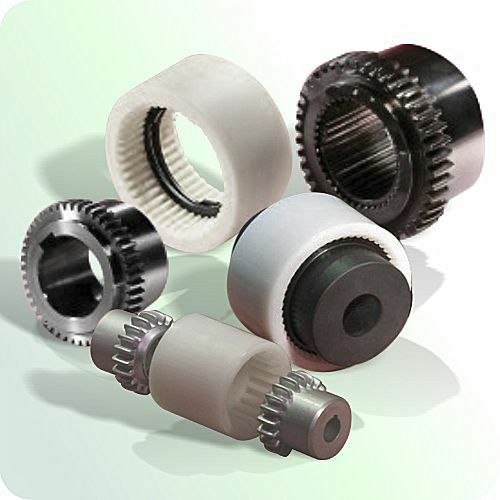 The elastomer gear ring, made of a newly developed Simirit-Polyurethane of various degrees of shore hardness, has important advantages in comparison with the standard polyurethanes. It is non-ageing, with resistance against hydrolysis (can be used in tropical conditions), non-abrasive, has a high self-damping effect and is also resistant to oil and ozone. 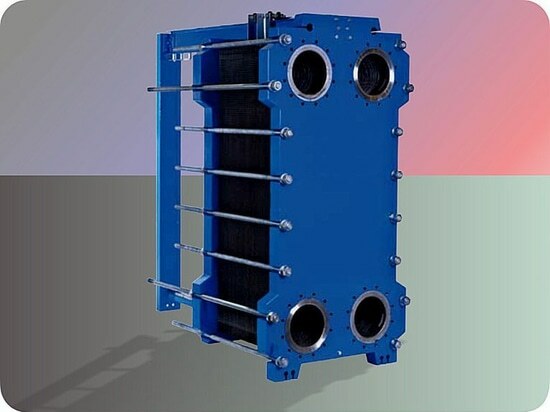 It can be used with temperatures ranging from -400°C to +1000°C. Follow the link for service factors, displacement values and torque ratings, and a full technical specification catalogue. 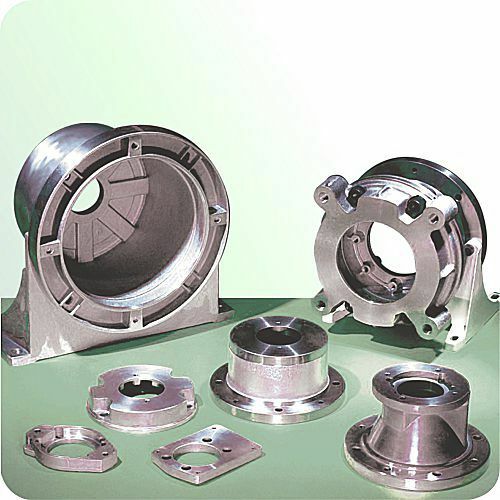 also known as jaw couplings, enable the connection of shafts or flanges via a polyurethane drive ring.